Here is a list of other events to celebrate in October. 22 Make a Difference Day- fourth Saturday of the month, neighbors helping neighbors. This is a GREAT time of year for affiliates in the genealogy space with it being Family History month. Share ways to celebrate this month-long event with your subscribers and promote the heck out of genealogy sites. Food bloggers can concentrate on apple and nut recipes, while animal lovers can celebrate Adopt a Shelter Animal month— by promoting plush animals to those who can't. Last, but not least of course, there's Halloween which is the ultimate time to dress up your pet and promote costumes for dogs and cats as well as those treat-seeking little munchkins. 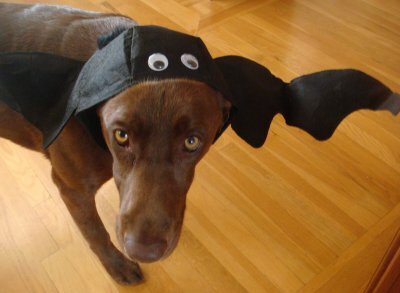 Shown here is Jasper, my chocolate Labrador wearing my “Bat-hat”. He will have to get cape to complete the ensemble. 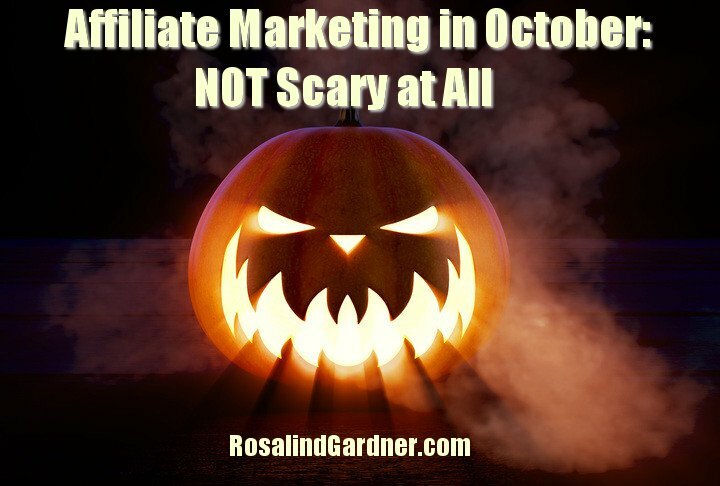 So how are you celebrating October on your affiliate site? Sorry, I just realized that my previous post did not contain the name of the October event. October is “Breast Cancer Awareness” month in the U.S.
Yup, you did and it’s posted… thanks SO much, Eleanor. LOTS to look forward to, Navendra! I went to a writer’s conference about seven yrs ago, and a lady was there who had written a book that listed a special occasion for almost every day of the year! It was intended to give freelance writers ideas to propose to magazines, but such a list could very well be a good resource for Internet Marketers, too. Thanks for the great list. Don’t forget about “National Breast Cancer Awareness Month” which is October in the U.S. Thanks for all the great tips and the reminders of opportunities for us. Of course!!! Thanks for reminding me… I’ll add that to the post. This is a great list. Don’t forget about which is in October in the U.S.
Darn ya anyway…every time I get on your site I find so much great information, and get so distracted, that I soon find my stomach growling due to missing a meal or two! Many thanks for practicing what you preach. You are truly the person to go to for truly useful, and the very highest quality content :-). Thanks so kindly, John. Happy to be of help. I cannot wait to get my hands on the new Apple iphone. That Bat Hat looks good on Jasper. Thanks Jack. Too bad Jasper really does NOT like the hat. Wow…..I am happy to know that so much is coming October and people have amazing time and will enjoy the occasion.